If started early enough, a daily regimen of the non-prescription ibuprofen can prevent Alzheimer’s. The prevalence of clinical Alzheimer’s commences at age 65 so it is recommended that people get tested at age 55 when the disease would typically begin. 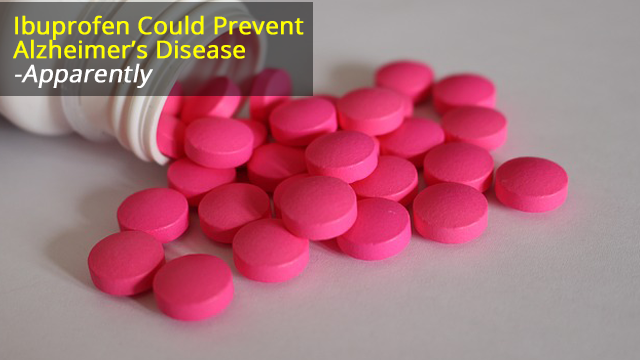 If they exhibit elevated amyloid-β protein levels then, that is the time to begin taking daily ibuprofen to ward off the disease. According to the World Alzheimer Report 2016, Alzheimer’s disease costs healthcare systems worldwide more than US$818 billion per year and is the fifth leading cause of death in those aged 65 or older.